AREA China magazine invites you to attend our soft launch during the 3rd Architectural Biennial Beijing (ABB2008) to celebrate the first issue of AREA magazine Chinese edition in this weekend, and later a professional conference focusing on the cultural development on 27th.Oct. Please see the detail information. for a round table debate. Speakers from International and domestic will lecture and discuss about architecture and culture in English. Please kindly confirm with us your attendance by email or telephone. We sincerely look forward to your particiapant, and appreciate your kind sharing with us your thoughts, oppinions and experiences. AREA China is the authorized media support for ABB 2008. 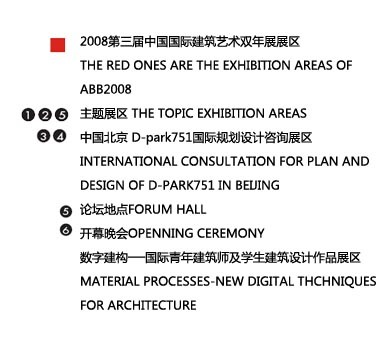 With celebration of the 100 editions of AREA magazine in Italy and its first Chinese edition launched in China duing 3rd Architectural Biennial Beijing (ABB2008), the forum of “IN AREA” is taking the opportunity to research and exlpore the concept of AREA itself. 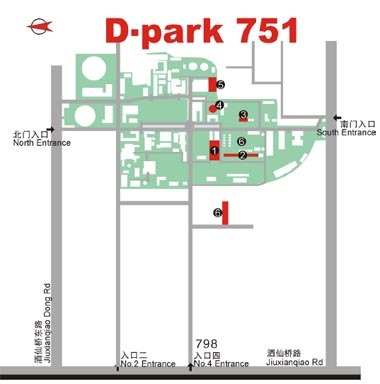 Area is a very deep word with different level and width meaning. The forum of “IN AREA” trys to dig the elements influencing an area, architecture’s value to an area, the new changes of an area caused by development, and the interaction between the historical and cultural aspects which might change a piece of architecture. All the discuss will be focus on Value of Area.It will be a discussion and inspirating event lead to deeper study on practical architecture and regional culture, it is a discussion to produce more inspiration. How architectures are influenced by the site and also put its active participation on the changing of site? How should we treat the area/site with long-term concern? How do Chinese architects dedicate their deep exploration of Chinese traditional intelligence to their architectural practise? How architecture convert itself into the various purposes in the site. To tell the story of a city, society and culture through architecture. To explore the spirit of architecture by studying a project, region and phenomenon. AREA magazine is an international magazine of architecture and design arts. By diversity perspective, using specific cases and deep analysis, it discovers and displays precious experiences of architecture design art. An efficient approach of learning more and improving knowledge about subjects dealing with design, building, city and surroundings. Each issue is monographic and describes a specific disciplinary area based on a theme developed by means of projects, interviews and reviews. AREA magazine distributes architectural philosophy, social value and aesthetics sense, truly exploring the spiritual substance that architecture gives to the city and human.